What is the purpose of the Rotary Literature Racks? Our Rotary Literature Racks attractively display magazines and books. 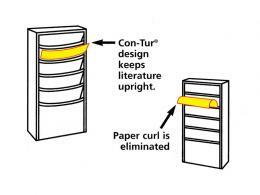 The exclusive Con-Tur design eliminates paper curling of the magazines on display. The unique rotary design allows for a full 360 degree rotation for easy access to all magazines available. Where can the Rotary Literature Racks be used? Our Rotary Literature Racks can be used in waiting rooms of business offices, medical clinics and educational institutions. 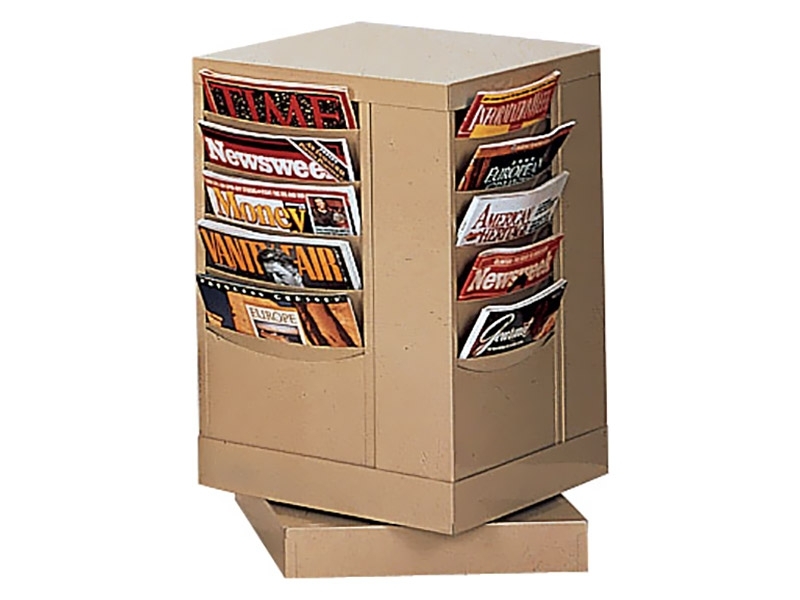 The rotary design allows customers to see all magazine options around the rack. Keep your clients happy with current reading material displayed in this rotary rack. Who might use Rotary Literature Racks? The Rotary Literature Racks can be used by business owners and office managers. Keep clients and visitors entertained with interesting reading material while they wait. Literature racks are an invaluable addition to any waiting room. 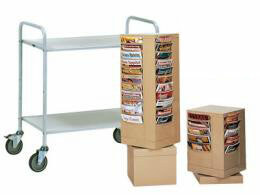 Our Rotary Literature Racks comes with a standard 1 year parts and labour warranty. The stable design can stand upright on the floor and rotate a full 360 degrees. The Con-Tur design safely holds magazines to avoid creasing and curling of the edges. .
We offer free shipping to UK Mainland.